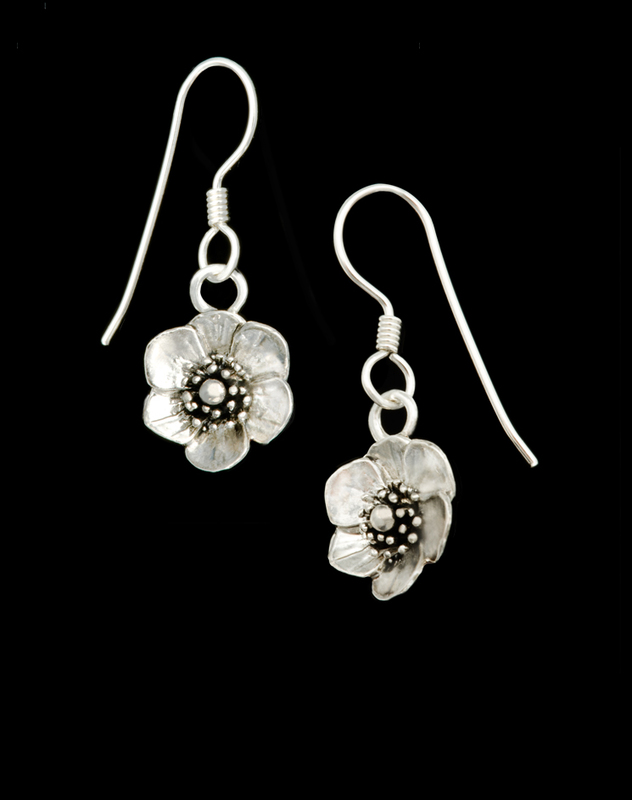 These petite earrings present miniature poppy flowers in bloom. Perfect for any season. Centers are antiqued to emphasize detail.